Nightcast is a horror game that places the player in the role of an adventurer that moves through a dark forest (too dark) and has only his trusty flashlight to guide him. As ghosts appear the player needs to dispatch them swiftly before the fear overwhelms him. This is a neat trick that recently came very handy as I wanted to change the text of a paragraph tag but only had access to the .css file of the page. "Some text embeded in the paragraph tag, oh my!" So what we did here was to make the existing text invisible by applying a color using rgba and setting the alpha to 0, and then add some new text with the css “content” attribute and the pseudo-selector :before/:after. Last week I launched my first Android Game that is powered by the amazing gaming framework Phaser. It is a reflexes and coordination game. The game source code is now available from Envato Codecanyon here: Okto* @ Codecanyon. The compilation of the game was done with Adobe Phonegap Build. KineticJS inherently supports dragging of elements, but what if you need “Drop” as well, sure you may drop anything anywhere on the stage but most of the times we want to be able to drop stuff in a pre-defined position and then apply some transformation. This is an example how we can achieve something like this easily. 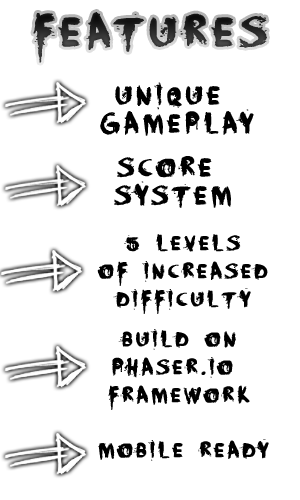 See the Pen Kinetic JS drag n drop by Michael Dobekidis (@netgfx) on CodePen. So let us break it down and see how it is constructed. Recently I encountered an error #2032 within a two year project in Flex, for three days I struggled with it and tried almost everything, this is why I’m posting this here so that it might save someone else time. This error occurred when I tried to do an HTTPService call to the Back-End and send some really heavy file. The file would require Back-End parsing and when that was over it would return a result. However mid-way the POST call would be interupted and I was presented with a #2032 Stream Error fault. This property is NOT taken into consideration by the HTTPService. I truly hope this helps someone as the above post helped me. 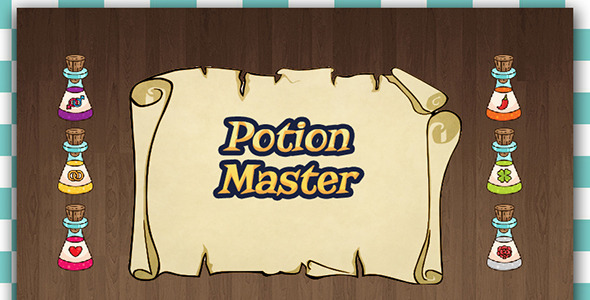 Potion Master is a puzzle game, where the player has to guess the right combination set by the AI. Hello all, this time I’m releasing one big tool as open-source, I have been working on this for the past few weeks and I think it can be of use to some. So what is a top-down-tilemap-editor, it is a tool that can help when creating top-down maps for various games or simply to print them. I struggled with many other programs and tilemap editors but almost all were lining towards platform games, however I’m mostly working with topdown games. So I started to create a map-editor that would be easy to use and would export a json string that I could import to my game and be ready to go. Import of JSON as exported by it. If you use it for a project drop me a line if you wish.